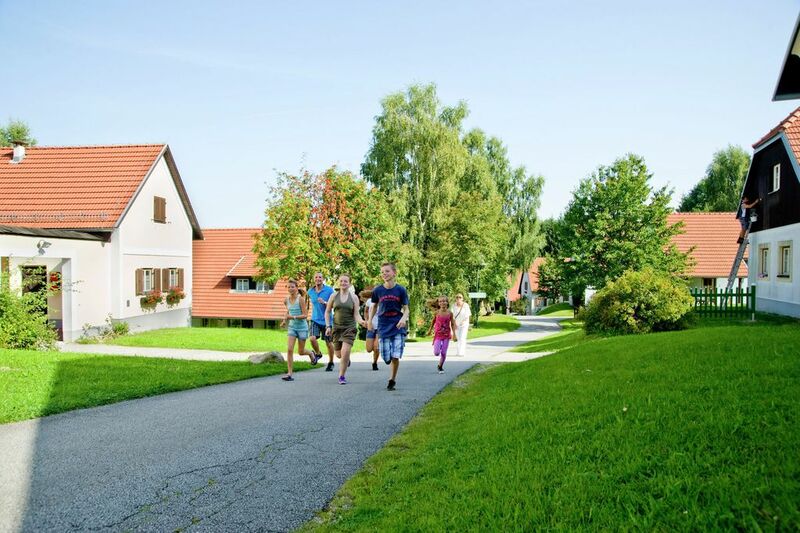 Königstein park is located in the midst of wonderful natural surroundings and the idyllic rolling landscape of the beautiful Waldviertel. This park consists of 15 traditionally constructed residences which house multiple apartments. Your spacious apartment is located on two floors. On the ground floor you have a spacious living room with terrace or balcony and an open kitchen and toilet. Up the open staircase on the first floor there is a spacious bedroom and bathroom. In the park restaurant you can enjoy breakfast, lunch or dinner for an additional cost. The park has playgrounds, beach volleyball, tennis courts, squash, table tennis and a sauna (some for a fee). Golf enthusiasts can tee off the first balls right at the park. The nearby Herrensee offers plenty of options for swimmers, hikers, and sun worshippers. In short, a unique destination for enjoying your well earned holiday. Details: In the low season and in the winter months it is possible that some facilities and the restaurant may be closed. There are plenty of alternatives in the village of Litschau, however. Litschau ist ein sehr schöner Ort,nur leider warenwir im Winter zur falschen Jahreszeit dort, da keinSchnee fiel. Zum wandern war es sehr schön, im Sommer ist es bestimmt herlich am Herrensee. Litschau ist ein toller Ort für einen Sommerurlaub. Da wir im Winter dort ware und leider kein Schnee lag, konnten wir nicht mehr als nur zu wandern.